A common factor in many of today’s trouble spots is the resentment of some of the combatants against the West. Whether it comes to IS in the Middle East, the Russians in Ukraine or Boko Haram in Africa, they are all filled with a deep distrust, if not hatred of the West. Like their kindred spirits in our own Western countries. And according to Abdou Bouzerda the disproportionate attention to the Palestinian-Israeli conflict is also traceable to that factor. You can go along with it because, you say, there’s some sense in it. We simply played the boss for too long. The certainty with which the West once thought itself to be in the position to decide about good and bad for the whole world has severely become unserviceable. Guiltfeelings about that colonialism are more appropriate, it is now up to the West to remain silent. This response sounds to me a bit outdated, reminescent of illusions about non-partisan pacifism, or about being above partisanship. As if you yourself do not have your own point of view or even nothing to defend. The renewed Western focus on defense shows in my view that we definitely dó have something to defend in the West. Another possible response to the resentment against the West is to go against it because, as you believe, many of our values such as human rights and democracy are actually universal. “Actually”, according to this view, all nations would want them, even if they don’t realize it yet. We must therefore continue to propagate these values’s universal validity. A bit like the Dutch theologian Erik Borgman did recently in an article on religious freedom in which he declared that religious freedom belongs in every constitution. A problem for supporters of this second position is that the resentment against the West makes a lot of groups and people allergic to that kind of messages. A frequently heard Western solution for that objection is that we do not call these values ‘Western’, but ‘universal’. The danger of this tactical approach is that it (understandably) reinforces the revulsion. After all, even if it were true that those values are universal, people still want to find out themselves. They don’t want to get those values carried over from former imperialists. One can also, with Amsterdam Mayor Van der Laan in his Abel Herzberg Lecture, opt for a third position, and say maybe there be several moral compasses next to each other. “We live with different moral compasses, in a world of trouble spots. 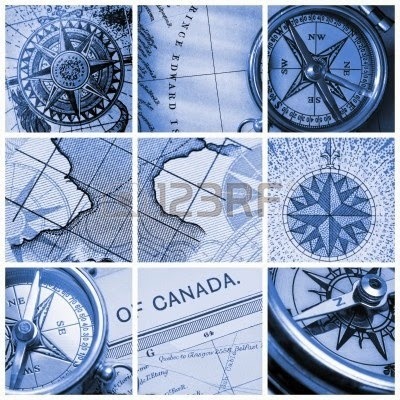 We will have to get to know each other’s moral compasses and recognize these compasses often originate from suffering. There is no ‘patent’ in the world of suffering, according to Van der Laan. This third option resembles the first, except that Van der Laan links this position to great alertness and willingness to actually physically intervene. I think that is also the beauty of the Mayor’s position: his criteria for whether or not to intervene are of a very practical nature. He looks at human behavior, thus reducing a complicated ideological debate to a, at least for his own feeling, practically performable assessment of behavior. Does someone sow hate, does someone call to violence, does somebody use violence? Then that is a border crossing and there will be no millimeter tolerance. What appeals to me is that Van der Laan actually lets go the always so pretentious universalism. The first option doesn’t do so because, following a statement by Alain Finkielkraut, it remains trapped in the adoration of the other, or of all others, and from there in a kind of sterile above-partisanship. The second option obviously does not do so, because it precisely believes in the universality of certain values. 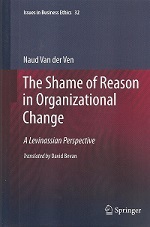 The Van der Laan-option eliminates this universalism because the connected action perspective is essentially of a local nature. Indeed, its effectiveness reaches to the boundaries of the Amsterdam municipality, or in the case of the presence of more like-minded Mayors to the country’s borders, and not beyond. Within these boundaries Van der Laan’s compass, with its own criteria for inadmissibility, is valid; outside it is not. That may be reassuring for those Muslims whose compass indicates – for example – female loose flyaway hair as absolutely unacceptable. In places other than Amsterdam or the Netherlands, for example, in Saudi Arabia or Iran, repressive action will, completely according to the Van der Laan position, indeed be an option. There they can have it their way. And for me it’s reassuring because the local Amsterdam compass, with the above Van der Laan-criteria for impermissibility, is fortunately also mine.